Last year, for around a month, I found myself wanting do challenge myself to do things out of my comfort zone. After suffering from a serious bout of anxiety that I can reveal was no fun at all, I felt the need to push myself out of my anxiety spell and try new things. 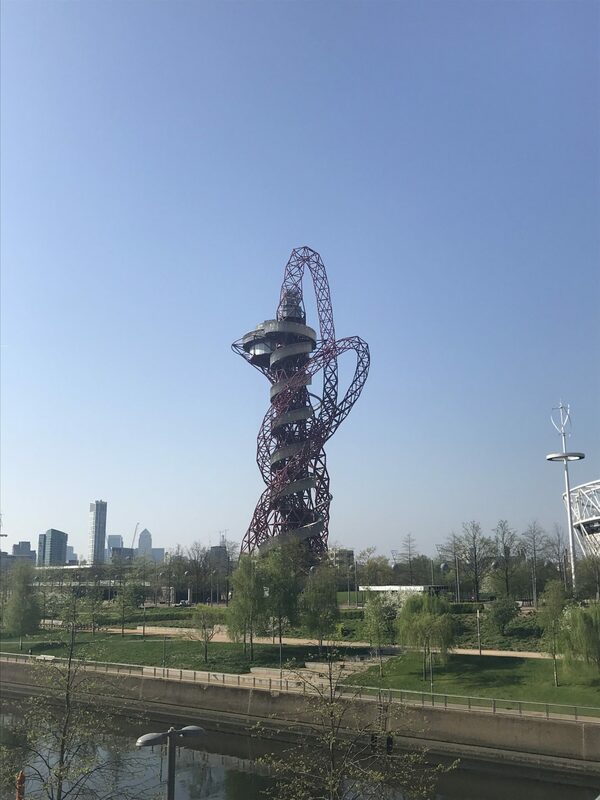 It started with the world’s longest zipline in Ras Al Khaimah in the UAE and ended with abseiling down the Orbit tower in London. 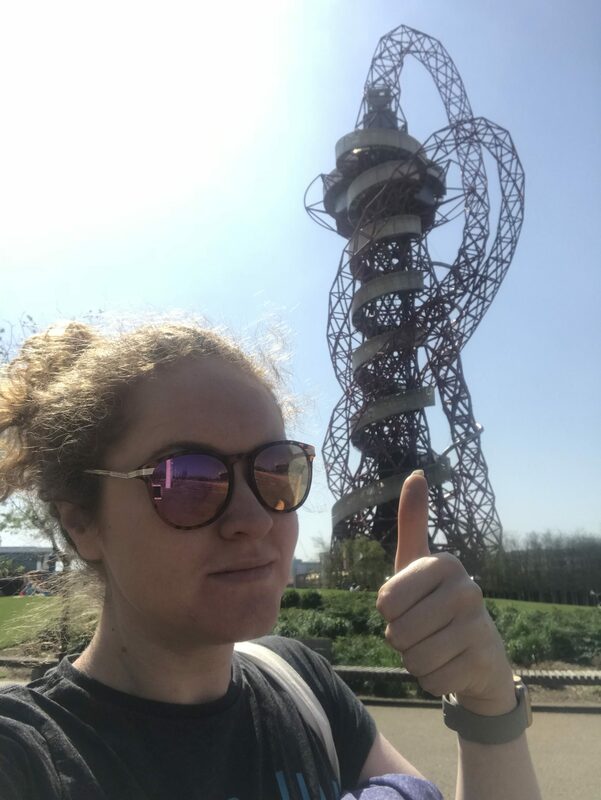 When I say ended, I genuinely mean ended because abseiling down the Orbit tower was quite frankly horrific. Which is a bit stupid really because it really isn’t that bad. But there was something about ‘being in control’ of your descent and being suspended in the air that I hated waaaay more than the idea of travelling at 90mph across a highway and a mountain range. See, I said it was a bit stupid. Nothing quite reminds you what you’ve set yourself up for than looking at the tower you’re about to abseil down and realise that actually it’s a lot taller than you thought it was. Yes – this was the tower I abseiled down! 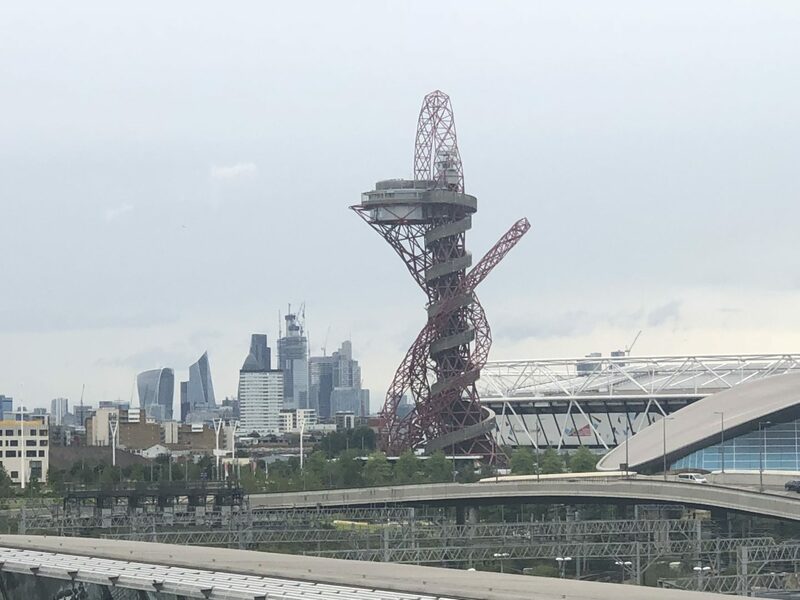 And suddenly there I was on the edge of the tower, looking out at the city of London in the distance, and the Olympic Park below. I took my feet off the edge and waved at the confused onlookers inside the tower’s viewing point. And then I was on my own. And it was very windy. I had to lower myself down at my own pace and I wasn’t a big fan of looking at how high I was suspended in the air so chose to sing to myself. It’s quite funny listening back to the video and hearing my rendition of The Killers’ All These Things that i’ve Done. I must have lowered myself own in record pace because within ten minutes it was over. And I was on my way back to Westfield’s to get a congratulatory doughnut! The abseiling sessions are run several times a year especially during summer. They are quite pricey at around £100 a time if you want to keep your GoPro footage. Lots of people tend to do it for charity which I think is a great idea. While there’s no specific dress code, i’d definitely recommend leggings, a long tshirt and perhaps a sweatshirt as it’s a lot colder when you’re suspended from the tower. And make sure to actually look around and enjoy the view. I definitely wished that I had spent more time looking around – I was too nervous to take it all in! And definitely try and get some photos of you on the top – I wished i’d remembered to do that again instead of panicking! "China’s freezing Disneyland: Harbin Snow and Ice Festival"
"A first timer’s guide to Kuala Lumpur: 8 things to do"
Ha thanks so much! I genuinely didn’t realise how huge it was until I got there!